It hopes to address the economic struggle of these communities by buying surplus crops derived from subsistence agriculture and marketing them via its e-commerce platform. A little kindness often goes a long way. 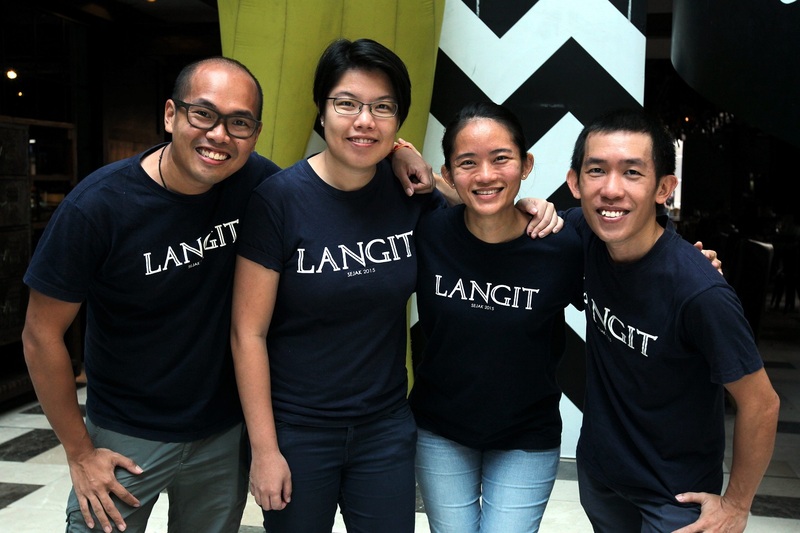 In the case of friends Chan Zi Xiang, Melisa Lim Siew Ming, Lilian Chen Le Leng and Chia Yong Ling, it led to the founding of social enterprise Langit. Rural folk in Sarawak’s Lawas Highlands accepted them with open arms while they were executing a project there, and the kind gesture moved them to want to do more for the betterment of the Lun Bawang community, the majority of whom are subsistence farmers. The name Langit holds special significance for the co-founders as it is a common element of their Lun Bawang names, given by their host family — aco (which means sun),udan (rain), bulan (moon) and gituen (star). Although Langit was officially incorporated on 31 Dec 2015, their work with the community began over two years ago. The co-founders had worked for NGO Impian Malaysia, where they first met, and were baffled by the economic struggles of the rural communities. They found it hard to believe this would force the youths to leave their homes in search of jobs in the cities. “However, youths from rural villages do not necessarily have the social capital or competitiveness of an urban person, so they end up working odd jobs. The agricultural sector took a back seat during the industrialisation boom and I think this is the time to revisit it,” Chen says. Langit’s business model hopes to address the economic struggle of these communities by buying surplus crops derived from subsistence agriculture and marketing them via its e-commerce platform. The crops are purchased at the farmers’ doorsteps, thus eliminating the cost of hiring a 4WD vehicle to travel to town on bumpy roads to sell them. A trust-based relationship with the farmers enables a fair price to be reached upon discussion. Chan assures that “they get paid first and the most”. The goal is also to ensure the sustainability of the ecosystem. “We provide them with the incentive to keep the culture going. It is also about continuity of a species of padi, for example. It can be detrimental to the community and the food security chain if it goes extinct,” Lim says. The products currently being marketed include rice from Lawas and seven villages in Long Semadoh, black pepper from Serian in Kuching and ginger from a village in Sabah. The bestseller is the rice, which the co-founders themselves are ardent fans of, having fallen in love with it at first taste. “We started out very naively trying to solve a problem and then discovered more problems!” says Lim, referring to the multiple licences required when it comes to padi and building a supply chain in the area. Chan can appreciate the historical background of these laws but opines that they are due for a review. According to the team, online sale of rice occupies a grey area in the regulations. “Some 75% of agricultural land in Malaysia is farmed by smallholder farmers. Unfortunately, existing policies do not take care of them,” he says, referring to, among other things, licensing fees that are a burden for small-scale farmers. The team takes turns spending about two weeks with the community every two months and get to experience planting and harvesting first-hand. The processes adopted by the farmers who supply produce to Langit are highly manual — they use home-based mills and sift debris by hand — with no tractors or machinery involved. “Until you are standing in the mud with them, you won’t fully understand the difficulty. It is literally backbreaking work,” Chan says. Moving forward, the Langit co-founders say there is more to be done. “We have yet to tap the full potential of Long Semadoh Valley alone. Until we have benefited everyone in the area, we can’t think of moving to other parts of the country,” Chen says. A conservative estimate is that only 5% of rice in the area is currently being purchased by Langit. The figure indicates that “if this model can work, we can replicate it for other smallholder farmers,” says Chia, who agrees with the rest of the group that their work has only just begun. 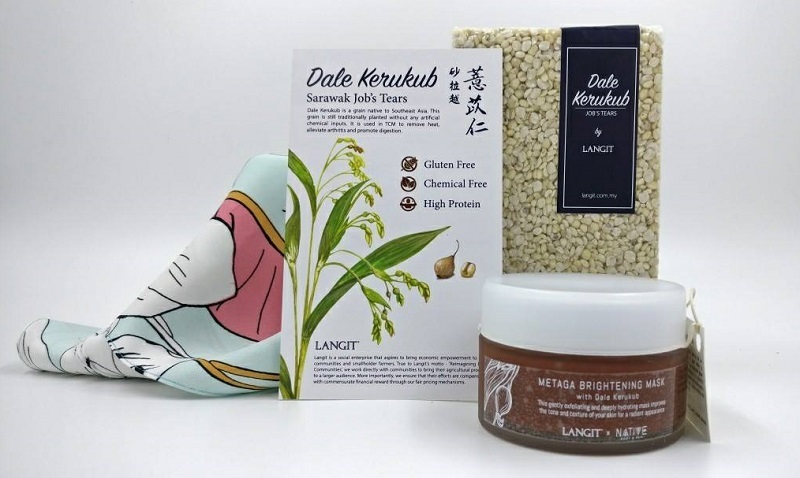 You can purchase products by Langit at Lucky Bo Restaurant, Bangsar; Snackfood, Bangsar; and Atlast Gourmet Market. This article appeared on July 16, 2018 in The Edge Malaysia.